Use this fun measurement activity to get your students excited about measurement! 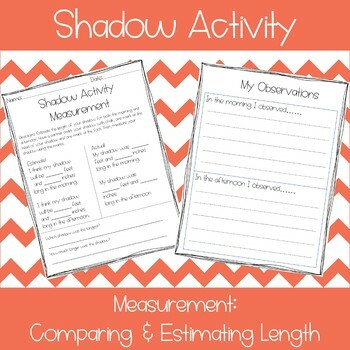 Get your students up and moving and practicing measuring by using this shadow measurement activity. The students will estimate, measure, and record their observations. This is the perfect activity to get your students outside, moving, and engaged with measurement!